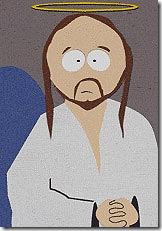 ANSWERS Movies & TV Commentary » Blog Archive » -Comedy Central Developing a ‘Jesus Christ’ Cartoon Show? 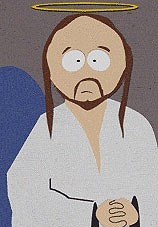 Comedy Central is said to be developing a new half-hour cartoon show called- “JC” . It’s about Jesus Christ living ‘regular’ life in New York city trying escape the shadow of his "powerful but apathetic father". 1 Response to -Comedy Central Developing a ‘Jesus Christ’ Cartoon Show? Fearing Islam, Comedy Central is now planning an entire show about Jesus.